There is a huge demand for qualified and skilled scientists in the fields of biochemists and genetics for the purpose of helping find cures to diseases and viruses. This research over the last 100 years has saved millions if not billions of humans and improved our quality of health and life beyond measure. These fields today require the understanding of real world biology and genetics and evolution is an important tool. Evolution requires time to work as well, time for genetic patterns to emerge and mutate and change again. Young Earth Creationists (YEC) hamper the search for truth and actually harm the rest of mankind because they do not do unbiased research (if any real research at all), this fallacy is that they must find data to support their beliefs and not objectively see what the evidence is saying. There is no real practical scientific jobs for a YEC who supports such beliefs over evolution. If you want scientists to help find cures for HIV and cancer they must use the scientific method and tools that work. YEC cannot help cure these or any disease with such beliefs because a “belief” is not a tool to help solve such problems. This is why not only the entire debate for teaching Creationism along with Evolution in science classes is idiotic, it is also disingenuous and DANGEROUS! The less our next generation knows about REAL SCIENCE the greater chance you or a loved one will die from something that might otherwise have been curable. Today even the Vatican supports the theory of evolution. 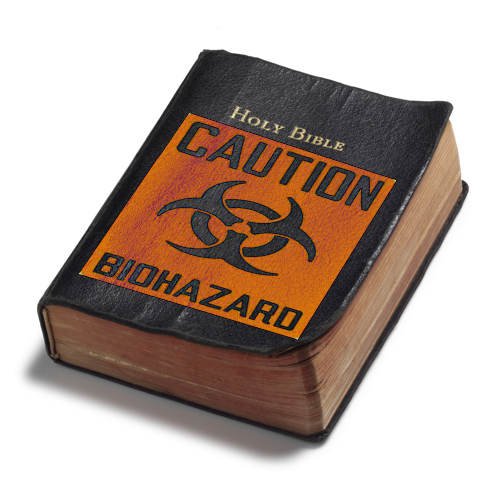 Only biblical literalists want to fight the only working tools we have to help create future cures because if evolution is true then the literal word of the bible cannot be. So when the next Pandemic hits do we want a generation of scientists to help cure it and save us all or a bunch of believers who feel good that the bible is the infallible word of God?